PMZ Property Solutions - Bathrooms, Kitchens, Plumber based in Churchbridge, Staffordshire. 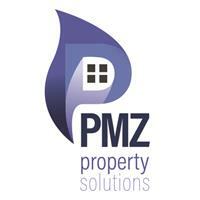 Hi I'm Paul, I started PMZ Property solutions 3 years ago now and I've never looked back. I have been a plumber for over 13 years now and worked for a few different companies and been on many exciting projects along the way but I thought it was time to start my own adventure. Being in the plumbing industry is a very rewarding job especially when doing the Bathroom refurbishments as you get the feeling that you've made a difference in the customers life by transforming a part of their home into a space that they can really enjoy for years. We understand that it's the customers hard earned money that they're spending on big or even small projects so why not give the customer the very best service because that's what they deserve as standard. "We treat every job like it's being done in our own homes with respect and a keen eye for detail."